When you have to give a presentation, it can be a tiresome business. Tiresome for anyone. But because you don't have presentation experience, the frustration can be limitless. Because, it doesn't really matter if you have to give a presentation at Mobile World Congress or your management meeting…it's a new experience. And that new experience can be frightening. It's daunting. But, also when you know very little about it, you can make some rather bad mistakes. However, the sense of frustration and fear won't just go away. Because you discover that you take too long to prepare your presentation. Indeed, you don't practise properly and you just don't feel comfortable. All in all, you know that you waste time when it comes to the important job of getting ready for a presentation. And, of course, you aren't even in front of your audience yet. So, now you want the confidence and expertise that you need to give effective presentations. And, of course, in doing so, you want to eliminate all that frustration. 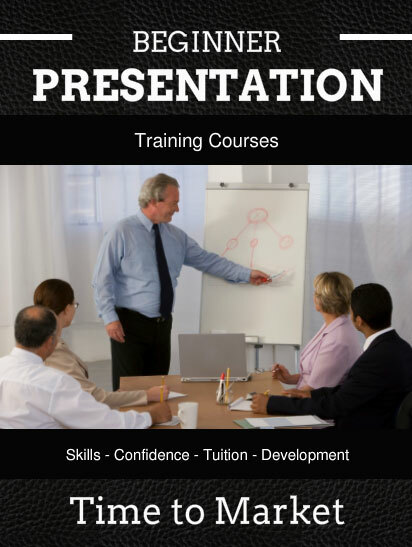 Because you can develop your presentation skills with a beginner presentation course. Since it's a course that's designed to give you the skills and techniques for confident presenting. Thus, it makes tiresome presentations a thing of the past. So, now it's your chance to give your skills a boost. You can always develop your presentation skills with beginner presentation training. Because with the right mix of training and experience you can really boost your presentation confidence. It's unquestionably true that you learn on the job. But, it's equally true that you can also pick up plenty of bad habits. So, why not discover the best habits from the beginning? Then you can manage the whole process yourself on the right track from the start. Finally, you can help to develop your own career. Because you can learn new skills quickly and easily. 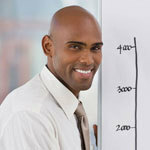 Consequently, with these new skills you can start to develop your career as you want it. And, surely that has to be a good thing for anyone. You can expect to learn all about how to give good presentations with a series of practical and engaging exercises. I started to see improvements with every practical exercise. Because no matter the stage of your career, it really is never too early to invest in presentation skills training. So, aim to boost your presentation confidence and technical skills with a beginner presentation course. Particularly as you have many course venues from which to choose. After all, we hold courses at more than 40 presentation training centres in England, Wales and Scotland. Therefore, you can't be that far from one. So here's your chance to build the basis of a good presentation technique. That's because you have the opportunity to develop your new expertise, perfect your delivery and make confident presentations. 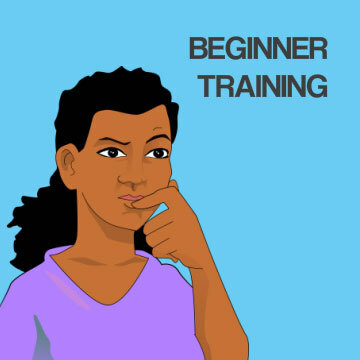 Each beginner presentation course includes all the right modules that help you be prepared. So, you are ready for your next presentation. Instead of being unprepared, now you'll be fully primed and ready to present. Includes: A one day beginner presentation training session with your own presentation skills trainer. No more than six participants on a public presentation skills course. A business-oriented training venue in a city centre or easily accessible location. A beginner presentation course is the easiest way for you to build your presenting skills. An immersive day spent learning and practising key presentation techniques. "The presentation went really well using your techniques & I didn’t um or errr once!" You can join a course as a beginner for £397 or £300 with an early bird special offer. Give your presentation skills a real boost with a beginner presentation training course. You can join one of our regular, public training courses. Or, you can always ask us to organise a beginner course for all your team. Train at your offices, or one of our presentation training centres. It's your choice. Read more details in the training outline. You won't need to travel far to join a beginner presentation training course. ​That's because we hold these courses at regular intervals at more than 40 off-site presentation training centres in the UK. Thus, you are never that far away. Please don't hesitate to get in touch for beginner presentation course advice. "Grasp the subject, the words will follow."